Adam was abandoned by his young mentally ill mother, he is unable to communicate except for babbling, face and hand gestures. Gail has loving foster parents who want to adopt her, but she has bounced through many foster homes. She hopes her “real” mother will come some day for her. Skipper suffered from a rare genetic disease that left him speechless and very deformed. What is it like to cope and communicate with these troubled children on a daily basis? How does one deal with their violence, fears, and help ease their pain? 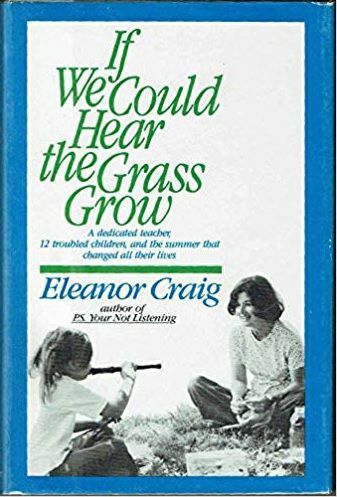 Eleanor shows us how these seemingly unreachable children can be reached and often achieve remarkable growth through the love, care and patience of a very devoted teacher and her family. A camping trip is filled with new ventures for some of them, fears for others, and then there is Diane who sneaks around at night at camp drinking and seeing a boy from another camp site. How are all these issues dealt with? There were many activities planned such as swimming, nature hiking, boating, arts, and music to name a few things the camp offered. Toward the end of Eleanor’s story she shares updates of her four children and also updates on the 12 children who look forward to a second year of summer camp.